Finally, a pop-topic I can cope with!! The answer to this question is so simple, and came instantly to mind. This was my mum’s engagement ring. She gave it to me for my 16th birthday and I’ve worn it almost every day since. It’s not worth much, in money (probably) but I’d be devastated if I lost it. It’s just so precious. Kind of like my first heirloom. Actually my first heirloom(s) were some rings that my Nana gave me – Mum says they are Nana’s mum’s wedding band, and Nana’s engagement ring. I think. There’s another one and I don’t know which one that is. They are very special to me too, because they’re really all my Nana got to leave me since her other two children are completely hideous and disregarded all her wishes about what she wanted each of her grandchildren to have after she died and just kept everything for themselves. So it means a lot that Nana gave me the rings a year or so before she died. It’s nice to have something of hers. 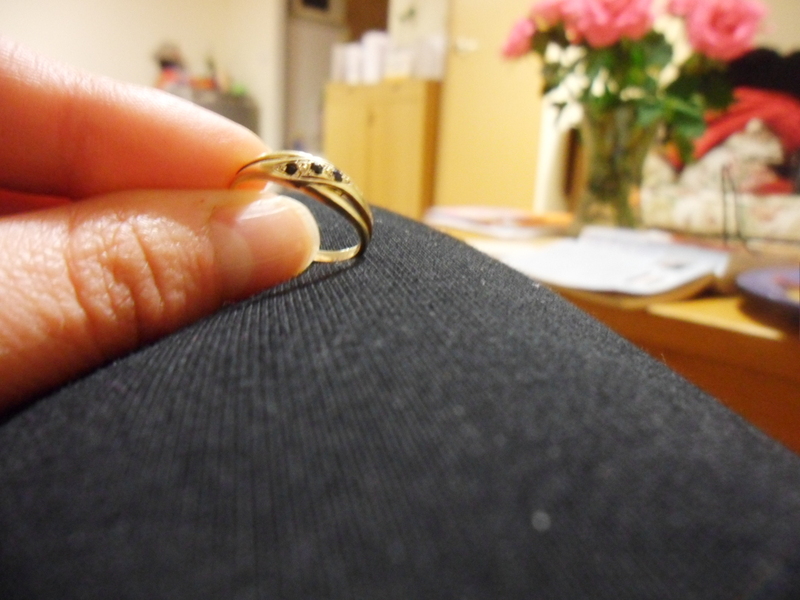 But yes, my most treasured item is my Mum’s ring.